Every game you play is high stakes so make sure you're wearing the Skins DNAmic Force Compression L/S Top in Bright Blue to power your performance. 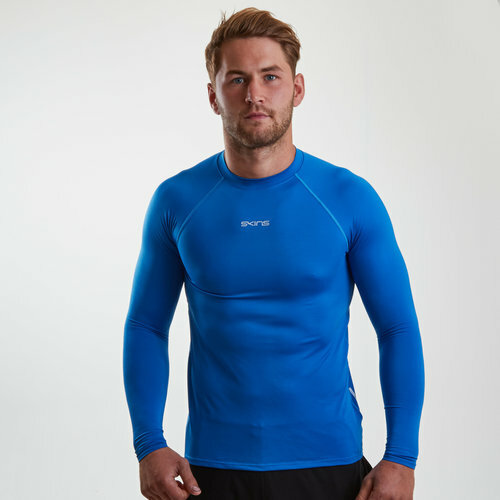 This men's long sleeve compression top from Skins has been designed to protect the wearer's upper body whilst helping power their performance during those competitive sports. The DNAmic force compression long sleeved top applies light compression support to the arms, back and core of the body whilst the strategically placed mesh ventilation and minimal seam design provides ultimate comfort and cool. A top sure to keep the heat off during those training sessions and game days when it's most definately on, on the field.